Originally posted: October 28, 2017 . Last modified: September 7, 2018 . 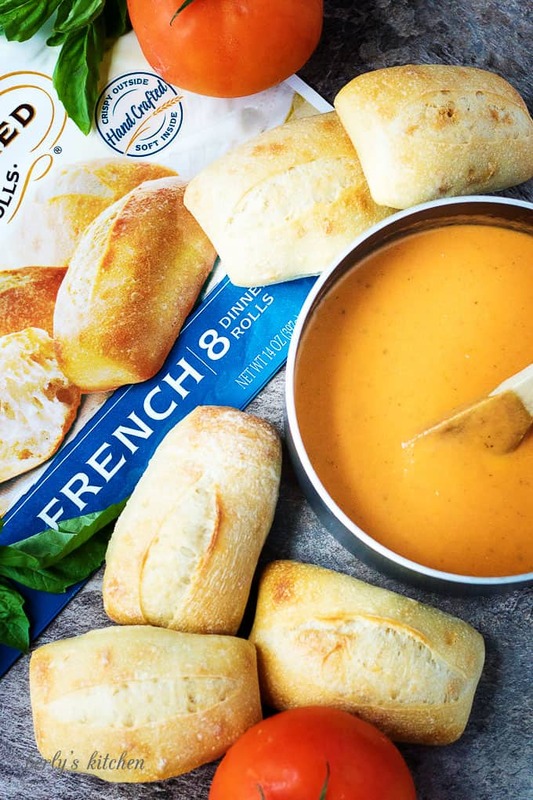 These Pepperidge Farm® Stone Baked Artisan Rolls make the perfect easy holiday dinner roll soup bowls. 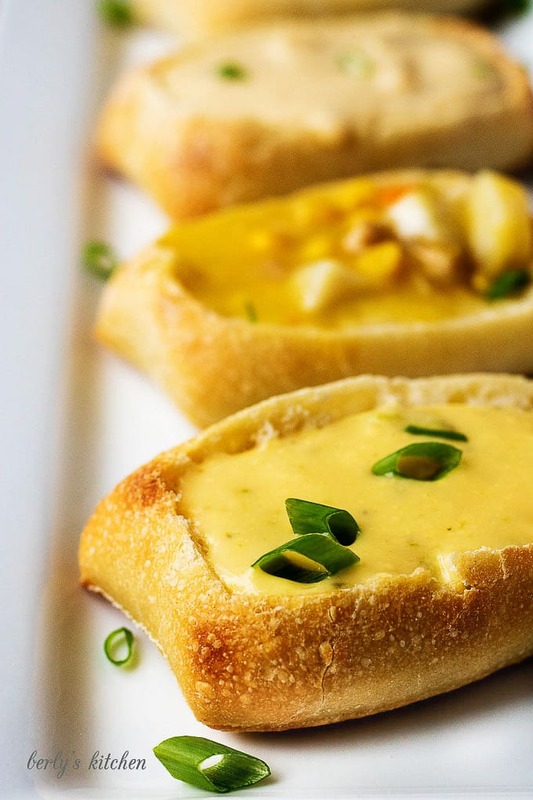 Save time and create an adorable appetizer. We all know the holidays can be a stressful time. Fortunately, we have a lot of freezer hacks and quick-cooking tips at our disposal. Knowing how to put together a simple and time-saving appetizer can make things easier for everyone. 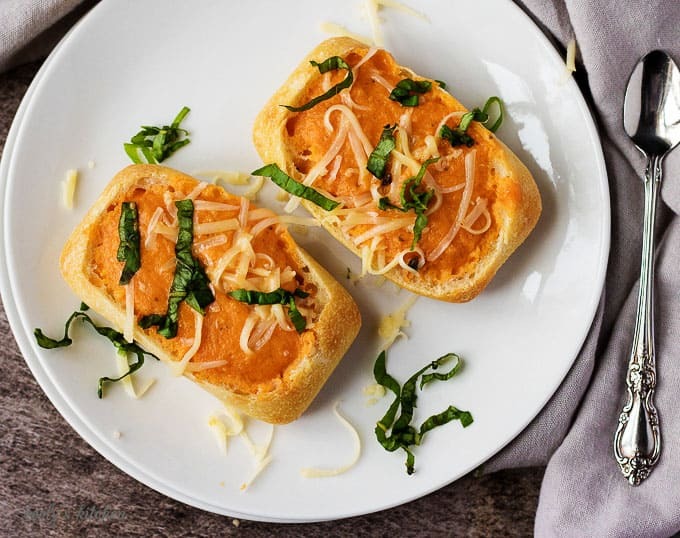 For example, using Pepperidge Farm® Stone Baked Artisan Rolls as cute little bread bowls can save you some time in the kitchen. Being a more efficient cook allows you more time with your family. Best of all, you can use this little kitchen hack anytime of the year. So, it’s a handy idea to have in your cooking repertoire. For these easy holiday dinner roll soup bowls, we chose to make a homemade tomato soup to share with everybody. 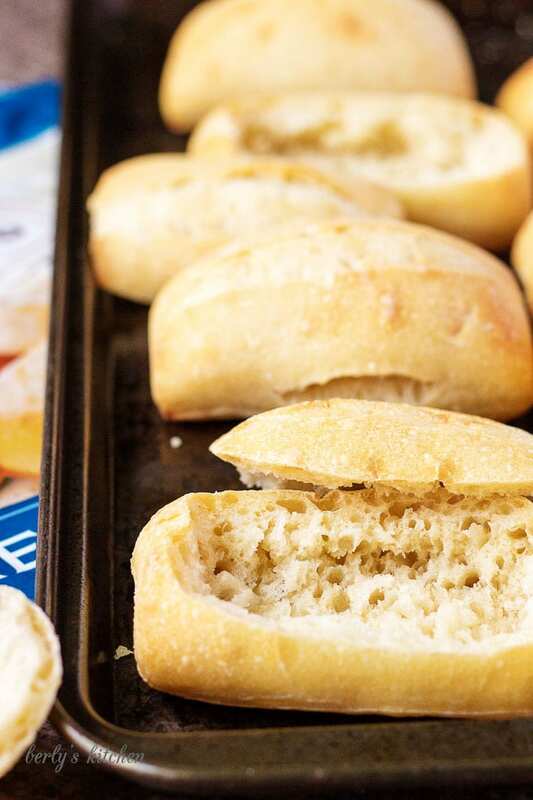 Kim and I were really excited to use the Pepperidge Farm® Stone Baked Artisan Rolls because they are simple to prepare and were ready to go in less than 15 minutes. I can tell you; I wish I would have had these handy when we lived in Northwest Arkansas. Once the ice and snow start to fall during winter, the last thing you want to do is leave the house to buy deli rolls. The dinner rolls are easy to find at your local grocery. They are in the frozen section of the store. Kim was in and out of the grocer in just a few minutes. As you can see from the photo, they’re in a resealable bag, so use as many as you like at a time. Our recipe calls for using all eight, but keep in mind; it’s for a holiday dinner appetizer for a family of four. 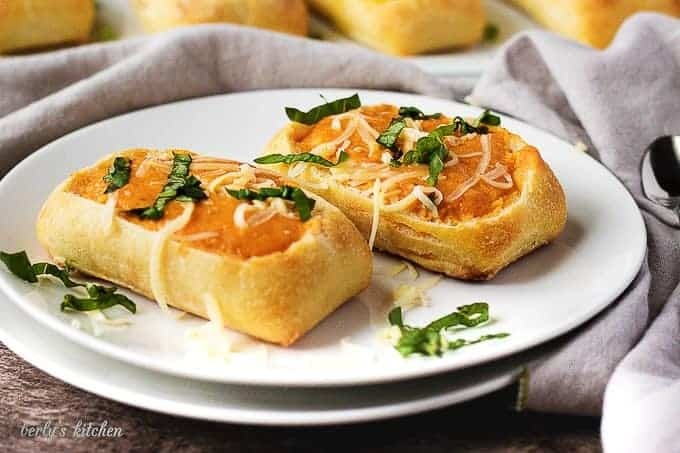 The Pepperidge Farm® Artisan Rolls bake up in about 10 minutes. These dinner rolls are crispy on the outside but soft on the inside. When we removed the insides to make the dinner soup bowl, the bread was soft and warm. It came out quickly and created a perfect little bowl for soup. Since we always make tomato soup this time of the year, I decided to share my recipe for this #ReadytoRoll campaign. It’s simple to prepare, and you can have warm, homemade tomato soup in less than 40 minutes. However, you don’t have to use this recipe. Easy holiday dinner roll soup bowls can be filled with a soup of your choosing. Usually, I try to add instructions here in the post, but efficiency is the main idea for today. So, we decided to put all the instructions on the recipe card. Instead, I wanted to focus on how adorable these Pepperidge Farm® Stone Baked Artisan Rolls turned out. Imagine serving something like this to your family as an appetizer or quick snack on a cold day. Feel free to garnish them as you see fit. In fact, you could toss the breadcrumbs back in the oven for a few minutes and make croutons for the dish. In the last photo, you can see these dinner rolls work excellent no matter the type of soup you choose. 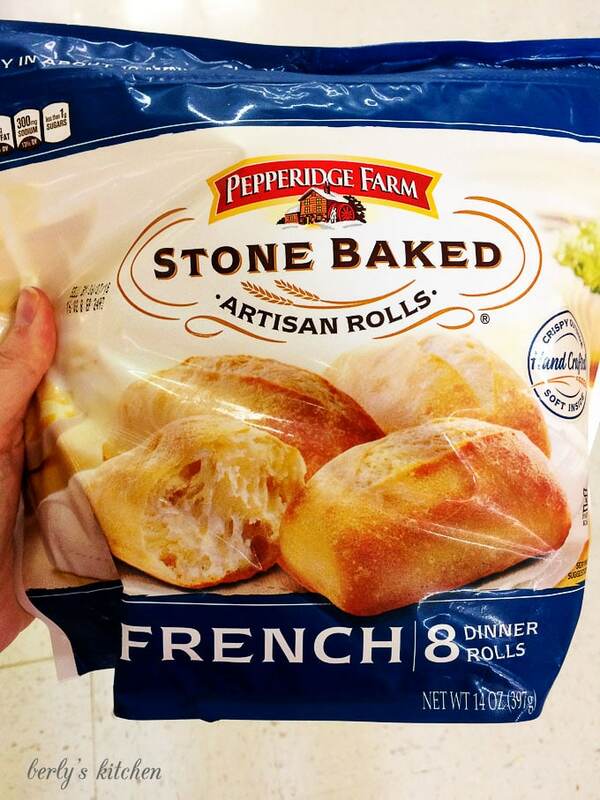 I invite you to pick up some of the Pepperidge Farm® Stone Baked Artisan Rolls. I recommend using them this holiday season. As always, I wish everyone a long life, love everlasting, and a tummy full of warm, comforting soup. First, preheat your oven to 400 degrees F. for the bread bowls. Next, roughly chop the tomatoes, onions, and basil. Peel the garlic but don't bother chopping it as you will be blending the soup. After that, in a medium saucepan, combine the olive oil, tomatoes, onions, garlic, basil, salt, and pepper. Bring the ingredients to a boil, then reduce the heat to medium-low, cover the pan with a lid, and let the soup simmer for about 20 to 25 minutes. As the soup cooks, go ahead and bake the rolls at 400 degrees F. for 9 to 11 minutes. 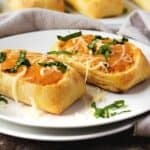 Remove them from the oven and let them cool for at least five minutes before cutting the crust and hollowing out some of the bread on the inside. Then, once the soup is done, remove it from the heat and place the saucepan on a cooling rack to cool for 10 minutes. Last, add the heavy cream to the soup and use your food processor or a blender to pulse the mixture until it is smooth and creamy. Pour approximately 1/4 cup of soup into each bread bowl. Garnish with cheese, fresh basil, or croutons. You can save even more time by using your favorite store-bought soup. The calories listed are based on the soup in 1/4 cup servings and one Pepperidge Farm® Stone Baked Artisan Roll. Actual calories may vary based on the use of different soups or ingredient substitutions. 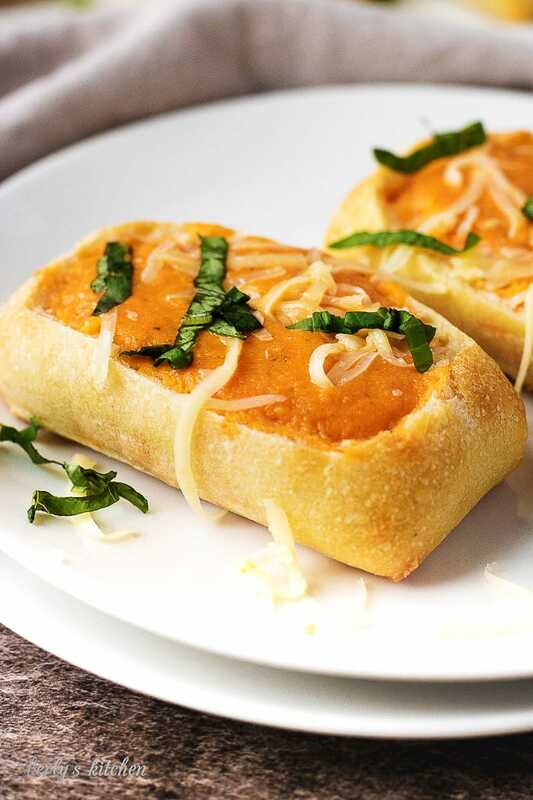 Soups can be prepared in advance and reheated before adding to the bread bowls. The finished product should not be stored for later. Serve the appetizer while hot.